Well kept 2 bedroom 1 bath home on 50 x 187 lot. Built in 1956. Today, Thursday from 2-7.....I think it is going to be a lovely day. I have picked up wonderful breads there, beautiful flowers, fruits and vegetables. Today I may just go look at jewelry for myself! Every Thursday through October. Remember the Water Tower is open during French Market. If you have never taken your kids through it how about today??? Hurry on over to the Water Tower in downtown Western Springs this Friday night from 5-10pm. One of the nicest summer festivals in the area. Bands, food vendors, rides and more. Stop at Hillgrove Wine Cellars on the corner for a free wine tasting. Fun for the whole family. This event is brought to you by the Western Springs Business Association(I am a member). We use the money raised to give local students scholarships. This year we gave 6 scholarships to students who work for members of the WSBA. Come meet them! http://www.pioneerlocal.com/westernsprings/news/2416750,western-springs-secondcity-062410-s1.article Read the article about the two Ben's from Lyons Township High School who will be performing this summer at Second City. It is the late show but why not go downtown and see them. Later, when they are famous you can say I saw them in 2010! On the market in 2006 for $1,189,000 and listed this year for $925,00. Sold in 7 days this year for $880,000. 4 bedroom, 2 and 1/2 baths. Great curb appeal on a corner in Old Town. Closed on June 21, 2010 for $1,250,000. Listed for $1,500,000. On the market for 104 days. Closed in July of 2008 for $1,350,000. 5 bedroom, 5 full and 2 half baths. 50 x 153 lot, $1,050,000. 4 bedroom, 3 1/2 bath brich two story. First floor restaurant....over 4900 square feet. Call for details. $25.00 per square foot. On the market for 19 days. Built in 200 this unit had a finished basement, 3 bedrooms, 2 full and 2 half baths. Listed for $509,000 and sold for $480,000. Don't miss out on some last minute bargains. On the market for 765 days. Offered as a lot for $459,000 originally and lowred to $299,900. It closed on June 18,2010 for $280,000. Offered during the 765 days as a new home for as high as $1,249,000 and as low as $989,000. Two bedroom on 65 x 150 lot. $1850 per month for this nice brick ranch in Laidlaw school district. Walk to parks and school. 2 fireplaces, large eat-in kitchen, 3 full baths and a finished basement plus a detached 2 car garage. On the market for 622 days. Started at $514,000 and lowered to $310,000. Sold for $270,000 and closed on June 14, 2010. Builders or rehabbers delight! Located off 47th street...lot 87x150. Listed last night. This is a very special block that ends at the Forest Preserve. 75 foot frontage and a cape cod with lovely, large living room and dining room, center entrance, French door to patio and a newer 2 car garage and cement drive. 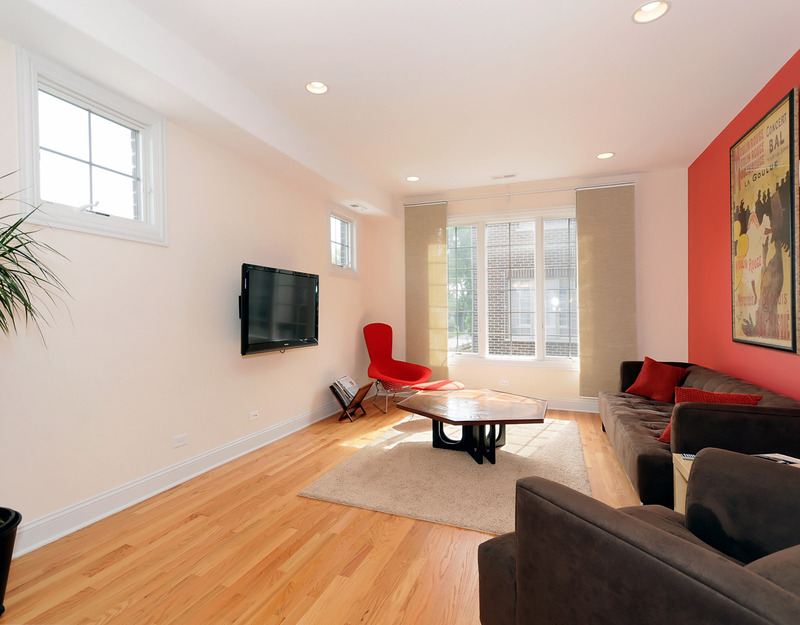 Hardwood floors and bay windows plus 2 fireplaces. Add some updating and enjoy the home as is or add-on. Great potential and a location you are sure to love! Linda Hanley Kelly, Charles Rutenberg Realty, 708-334-5356 Call now to SEE! There have been a couple of homes here in Western Springs that have gotten multiple offers in the last few weeks!!! Also quite a few homes have sold for over a million. Don't believe everything you read. The market is not dead. Call me, Linda Hanley Kelly, Charles Rutenberg Realty, 708-334-5356 FULL-TIME broker for over 30 years. On the market for 310 days. Built in 2006 and sits on a 59 x 129 lot. 5 bedroom, 5 1/2 bath originally listed for $1,299,000 and reduced to $1,194,000. This home closed on June 15, 2010 for $1,000,000.00. Home was on the market for 409 Days. Originally listed for $1,225,000 and reduced to $1,149,000. Sold for $1,075,000 and closed on June 15, 2010. 52x150 lot, built 2005, 5 bedroom, 4 1/2 bath. Don't miss this wonderful garage sale. At the School on Wolf Road and 51st Street. June 19th from 9 am until 2 pm. They have everything you can imagine and layed out for easy viewing. Furniture, clothes, toys, housewares, etc. Stop by-you are bound to find something. 1/2 price bag sale on Monday after the sale. Asking $586,750. This home has 4 bedrooms, 3 baths. Located close to Laidlaw Grade School and parks. Nice brick 3 story home in an excellent neighborhood. 5 bedrooms, 2 1/2 bath, family room. I have just listed 281 N Wilmette Avenue in Westmont for rent. $1780 a month. Just a few blocks to downtown Westmont and the train. Lots of great restaurants in their little town. Complex only has 7 townhomes. This is the center unit in the back of the complex. Attached 2 car garage and visitor parking lot. 3 story w/2 bedrooms, 2 1/2 baths, loft, patio and balcony. Charming home close to town and train. 3 bedroom, 2 bath for $569,000. Scale down-start out in this lovely 2 bedroom, 2 bath condo in excellent location. Just 20 minutes to Chicago and a quick trip to the airport. Located by the forest preserve. Condo has been recently updated with new kitchen and bathrooms, new flooring. Call today to see...Listed by Linda Hanley Kelly, Charles Rutenberg Realty, 708-334-5356 Only $129,900. Complex has an outdoor pool-get in now and enjoy! June 9th 4-6 pm and 6-8pm and June 17th 10-noon and 6-8pm. Classes are $5.oo per person. 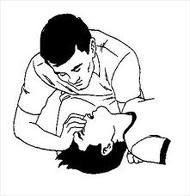 Come on over to the Western Springs Fire Department, 4353 Wolf Road, Western Springs and learn CPR. Big home in Springdale for only $799900. 5 Bedrooms, 3 Full, 3 half baths. 2 bedroom,2 bath for only $184,500. Call me to show it to you. Listed in the MLS. This is a really nice townhome off East Avenue. Right down the block from the LaGrange Park District and only 8 blocks to downtown LaGrange. Lyons Township High School. 3 bedrooms, 2 1/2 baths, 2 car attached garage. Upgraded high-end appliances, hardly lived in unit. Come see tomorrow, June 6th from 1 pm to 3 pm. Owner is offering closing cost credit. Builders model originally listed for $355,000. Sold for $230,000 after being lowered to $295,000. 416 days on the market. 2 Bedroom, 2 bath. New construction.On the market for $425,000 for 31 days. Closed on June 3rd, 2010 for $400,000. Foreclosure Sale. 31 days on the market. 2 bedroom, 2 1/2 bath. Large Bi-level in Springdale. Built in 1961. On the market for 18 days. Asking 459,000 and sold for$449,000. Some updating done. 4 bedroom, 3 bath. On the market for 310 days. This was a short sale. Listed for $549,000 and lowered to $449,000. Sale price $417,000 on June 1, 2010. Sold on June 30, 2010 for $472,000.